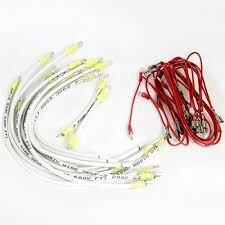 Zone Control and other harness sets are available by special order. Please contact us if you need assistance. We have ceramic engineers on staff to answer your questions and to provide you the technical advice you need. We will supply you with the best available clays, chemicals, glazes, colors and supplies at reasonable prices. We take care in preparing and packing materials for shipment. © 2015 - 2019 Columbus Clay Company. All rights reserved.